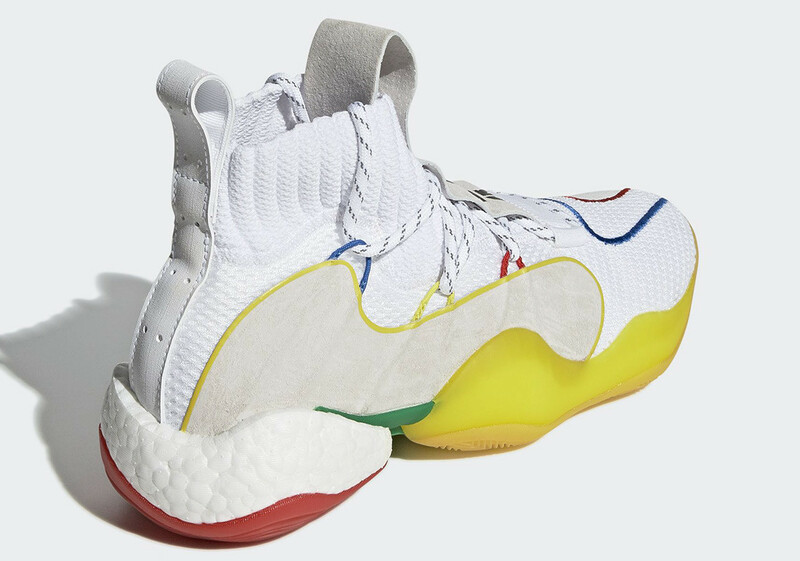 Pharrell's Crazy BYW collab releasing in white colorway on 3/29. 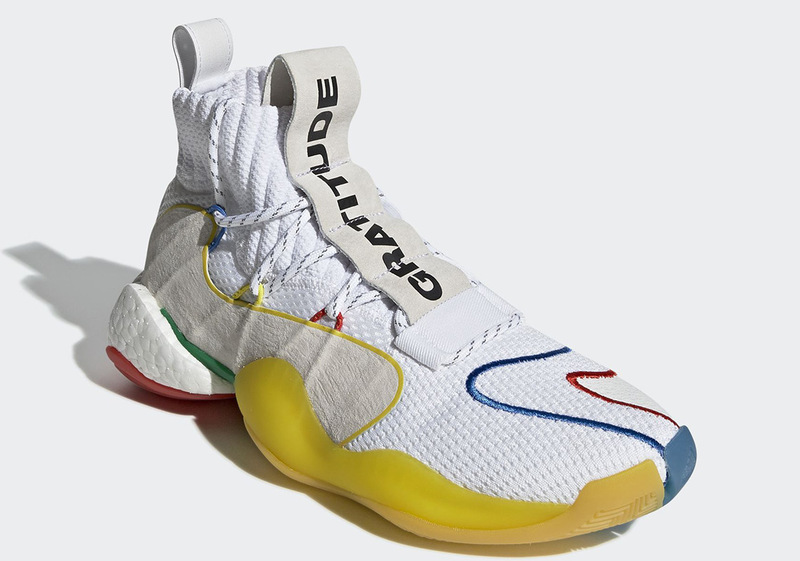 Pharrell and Adidas teamed up for multiple Crazy BYW (Boost You Wear) collabs last year, including contrasting black and pink colorways, as well as a special edition yellow version that dropped during the 2018 NBA's All-Star festivities. 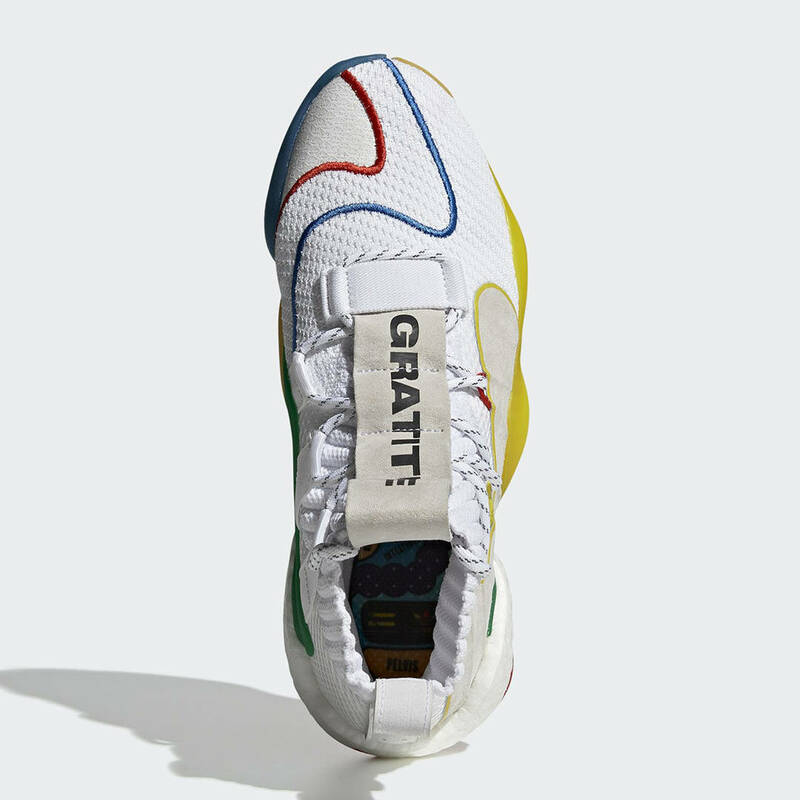 Adding to the list of Pharrell-designed Adidas Crazy BYWs is a white rendition, featuring many of the familiar elements, including "Gratitude" detailing on the tongue. 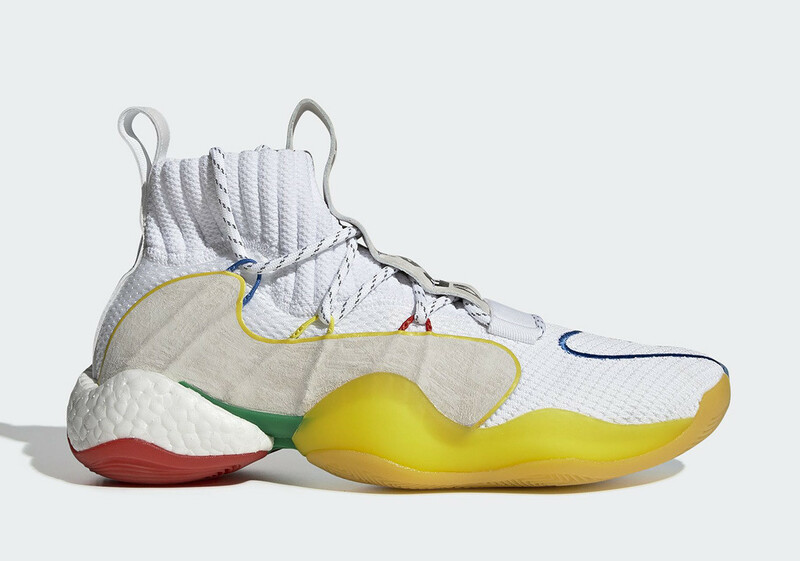 Much like the black version of the Pharrell x Adidas Crazy BYW, the upcoming white iteration is equipped with hits of blue, red, yellow and green. 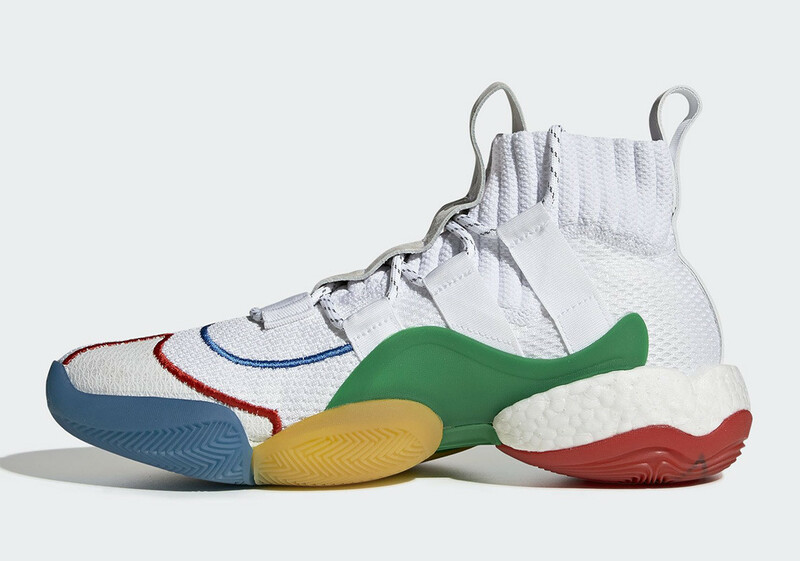 The kicks are reportedly slated to launch at select Adidas retailers on March 29. 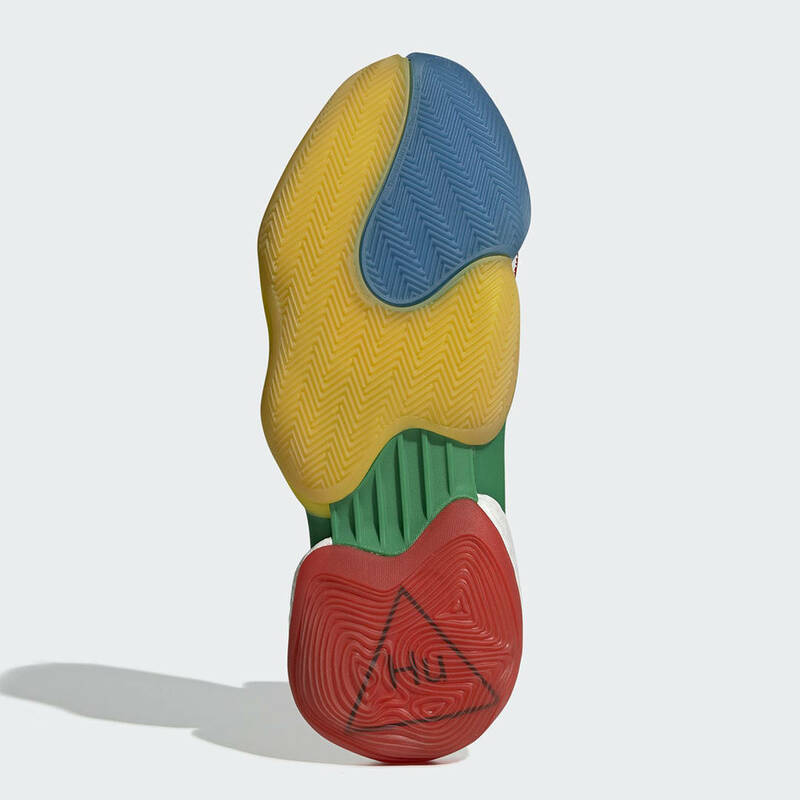 Check out some additional images below.